Save for the expenses of a newborn. Establish a college savings plan. Cash-flow Nargis’s MBA degree (her last class is in July). Oh, and pay off the house. That’s right—they are saving for the future, avoided a student loan, and now don’t have a single payment in the world! That kind of success didn’t just pop up. They went after it. 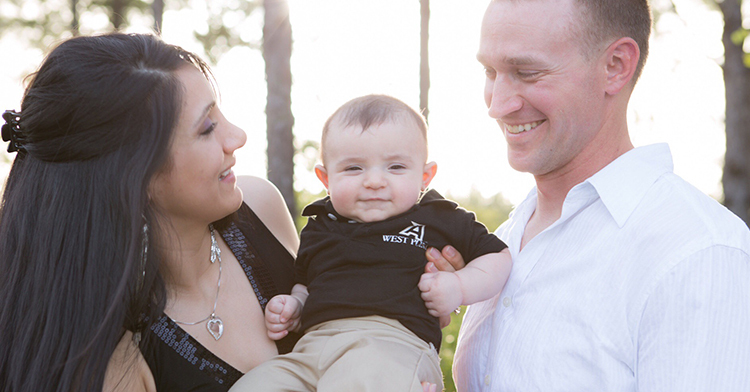 Nargis and her husband had a big-time desire to be free of their debt before Caleb, who is now 14 months old, became a toddler. “We thought it would be easier to sacrifice for a few years in the early stages so that we could enjoy life later,” she says. And then came EveryDollar. “It’s easy to use and cuts the budget meeting in half,” Nargis says. “Before, we were using an excel spreadsheet with multiple tabs with interlinked cells. It was not user-friendly, and this app makes it so much easier to see our money and control it more efficiently,” Joel says. Now telling their money where to go is simple, and things will only get better—and a lot more fun—from here. The couple’s next goal is to go on their dream honeymoon, which wasn’t doable when they tied the knot in May 2014 because of their work schedules. And that’s just the start of what they can do. Being out of debt and in control certainly makes them worry less—and that goes without saying. Take control of your money by creating a free budget with EveryDollar. It’s free and takes only 10 minutes to set up. Once you’ve got the hang of it, you’ll be tracking against your budget in seconds a day.